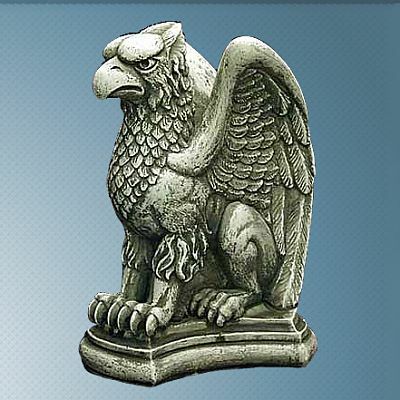 - According to legend, the mythical gryphon has guarded the gold mines and the wealth of pharaohs and kings. This handsome gryphon stands guard over one's self esteem, as the mighty protector of inner worth. 6 1/2" tall. Do you have any other questions about our Vigilant Gryphon Statue? Beautiful statuary. Well made. Recommend highly to anyone interested in it.